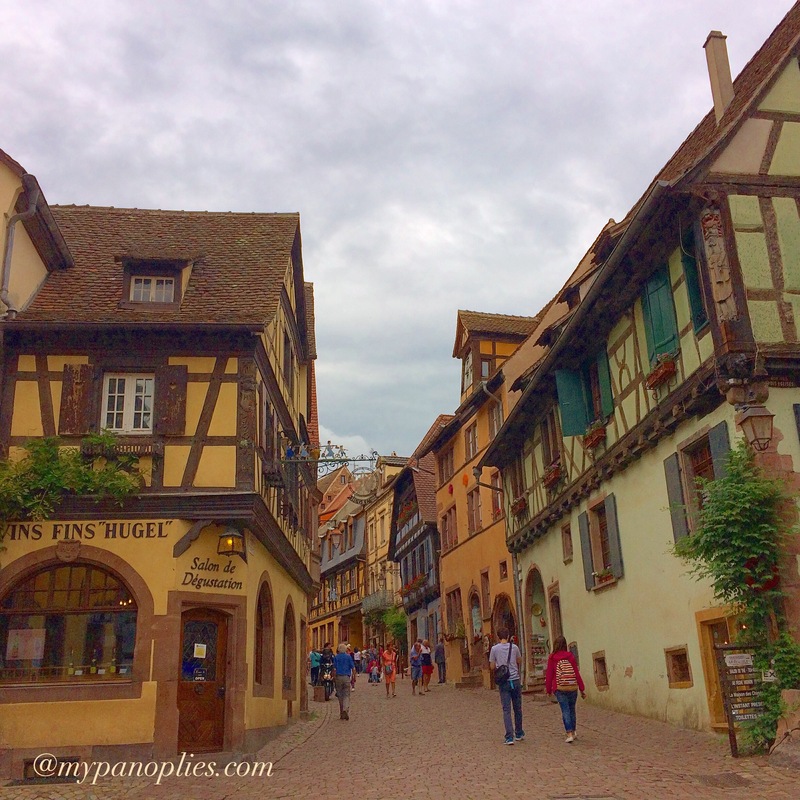 Riquewihr a medieval town in the heart of the vineyards of Alsace, France. The charming half-timbered houses were built between 15th-18th century and with a Dolder that was used as a defense/gate from the 13th century. the best way to explore this town is by foot, and there are little museums which feature their wine and cheese making, old postal history, etc. Indeed, Riquewihr is a very charming village. It has preserved its tradition and beauty, still unchanged even after 400 years. On our fifth visit to Lourdes France, we were able to participate in the nightly rosary vigil. It starts at 9 pm and lasts for about an hour. Same feeling of peace and hope enveloped me as we sang to the hymns and recitation of the rosary. Chanted with various languages I may not know but still familiar and heartfelt. The procession is more than a ceremony that for devotees like us – is a time of prayer and peace. 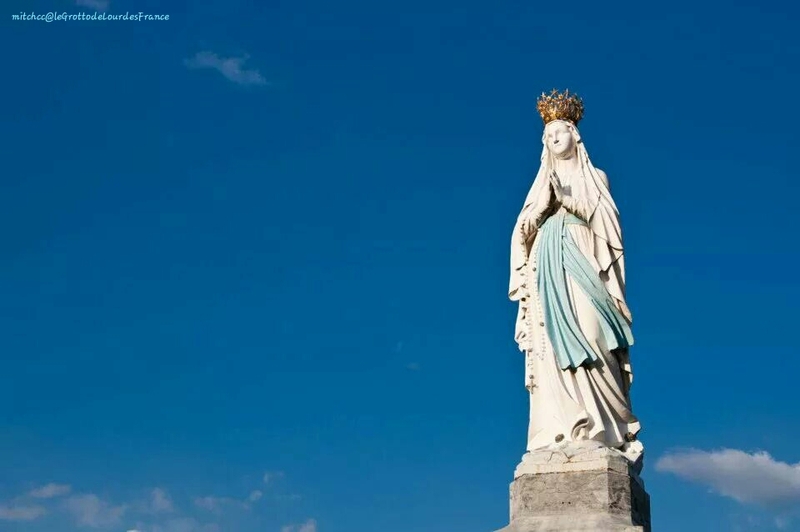 I’d like to share the hymn – “Ave Maria de Lourdes” in French. As seen on a short clip I recorded below. 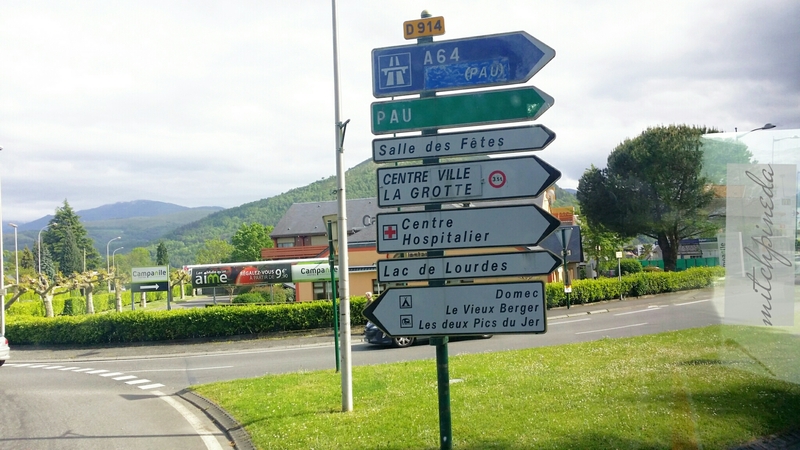 à Lourdes vous prie, chez vous il renvient. la dame s’approche, fait signe à l’enfant. 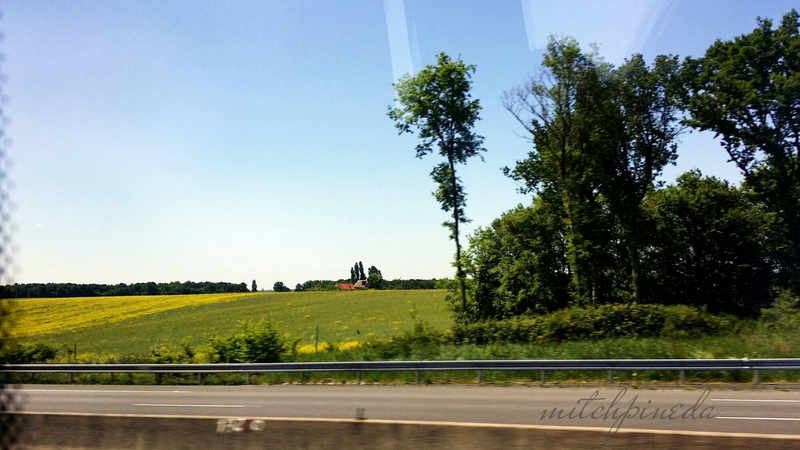 Alsace is a historical region in northeastern France, bordering Germany and Switzerland. 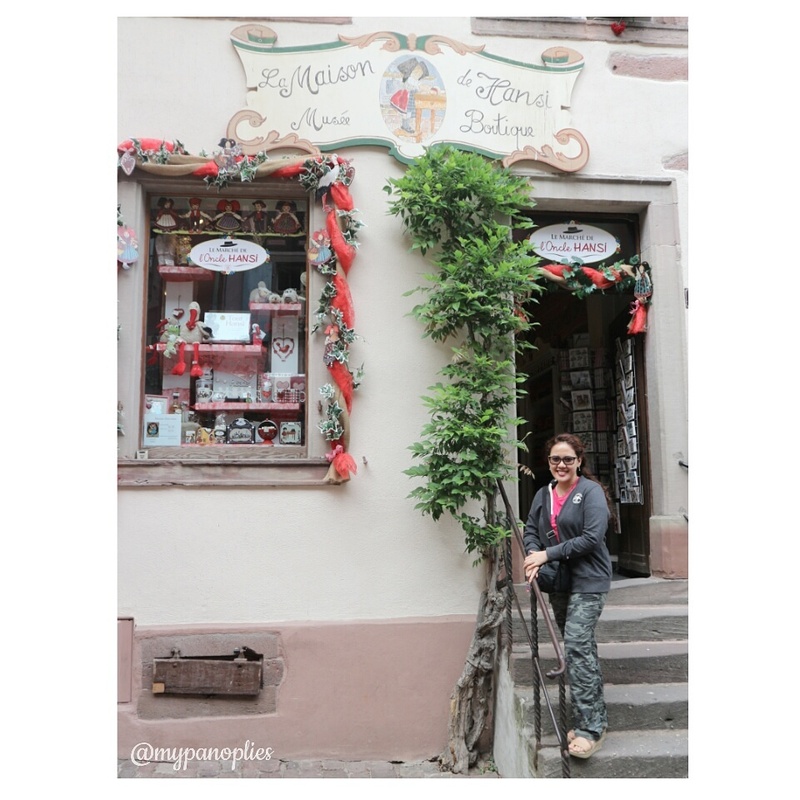 It’s filled with beautiful small villages like one particular place called Riquewihr. This old town is the perfect backdrop setting for fairytales i.e. Beauty & the Beast. 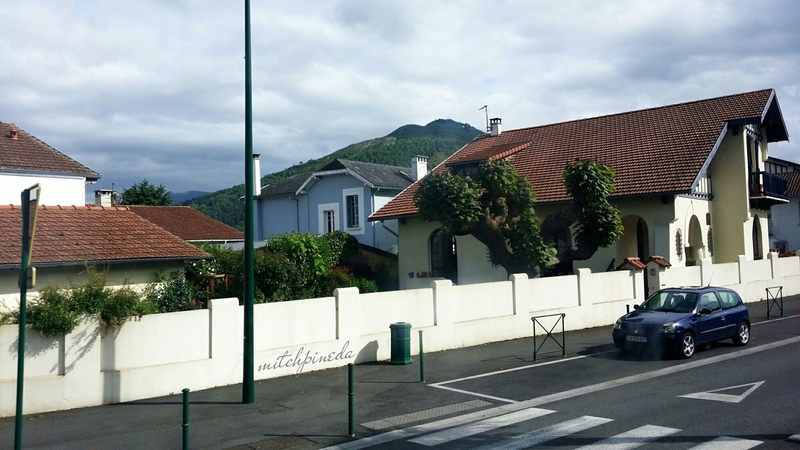 Humming Belle’s song as we walked through this picturesque village. Charming and colorful houses, each has a unique theme of it’s own. And I even found the lovely fountain in this scene of Belle where she sat to read her book. The old town from the 16th century still feels the same until today and for me is the most beautiful village I’ve ever seen. I didn’t like to leave. 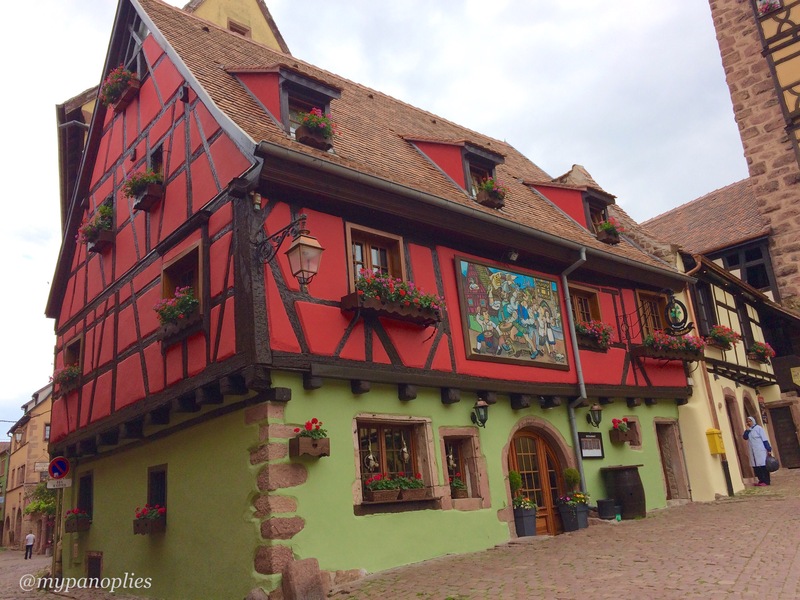 We stayed in Colmer, another quaint town in Alsace. 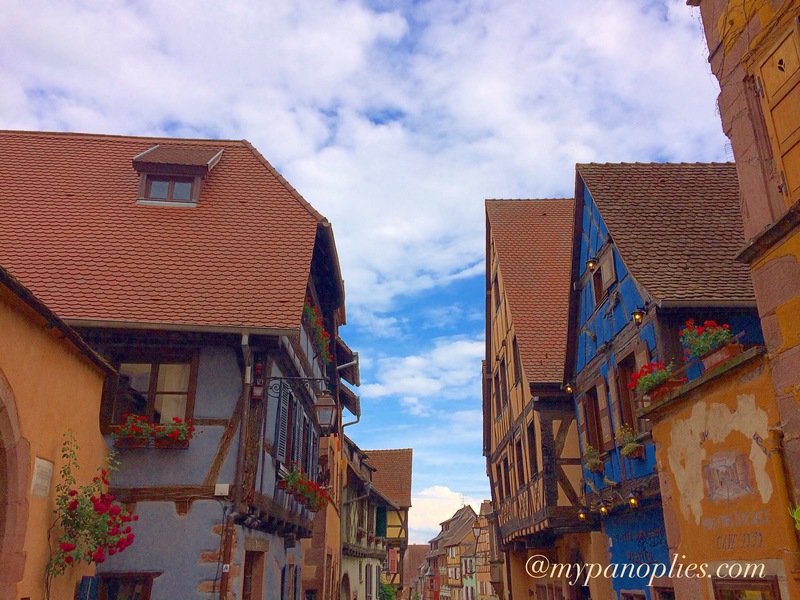 Its cobblestone streets lined with half-timbered medieval and early renaissance buildings. The gothic 13th century St. Martin cathedral took 600 years to built and stands tall in the central Place de la Cathédrale. The area along the canals is known as the La Petite Venise (Little Venice). You can take a boat ride to explore the old fishermen’s district. Strasbourg. The capital city of Alsace. 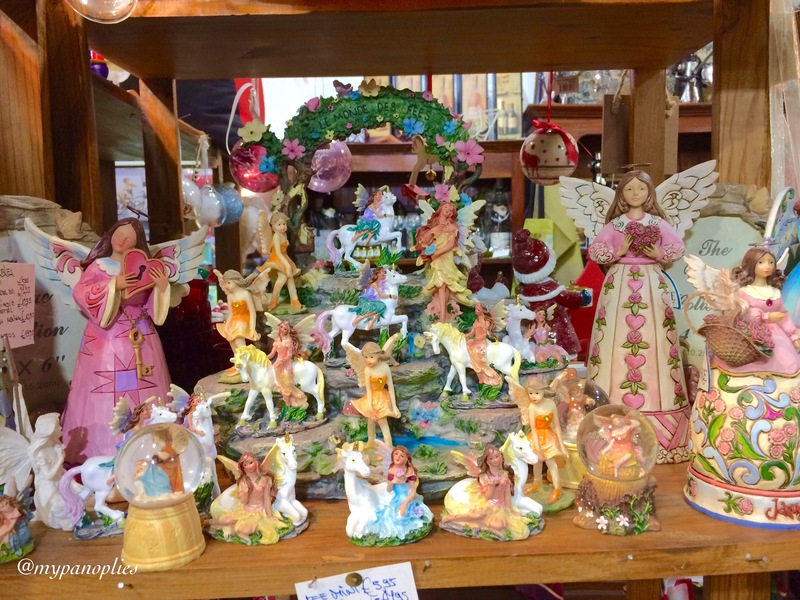 Being in the border of France and Germany, it was enriched with a unique combination of German and French influences. Its enthralling past gives this city a distinctive and endearing history. We took a boat tour after visiting the gothic Cathédrale Notre-dame that houses the astronomical clock. 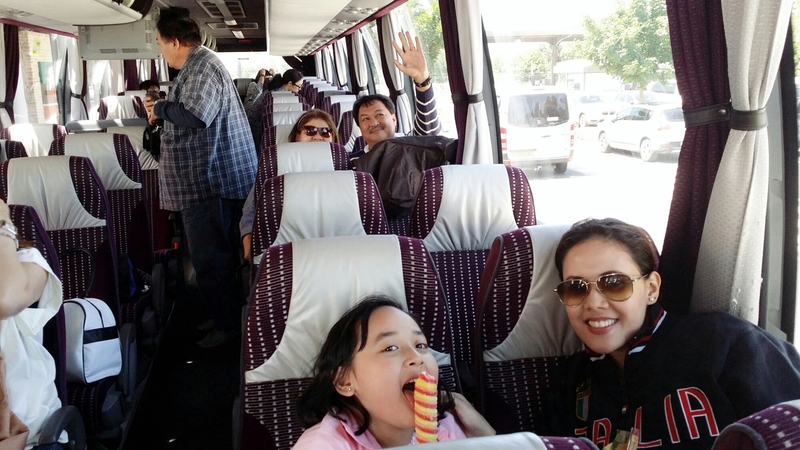 We hired a private bus as we traversed by land visiting different parts/countries of Europe. 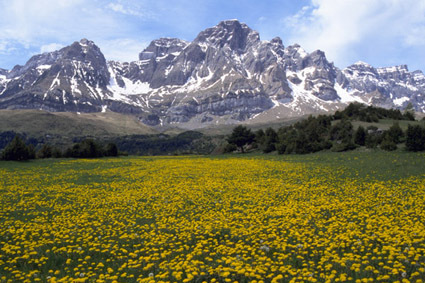 The view was spectacular, passing through Pyrenees mountain range, a natural border between France and Spain. 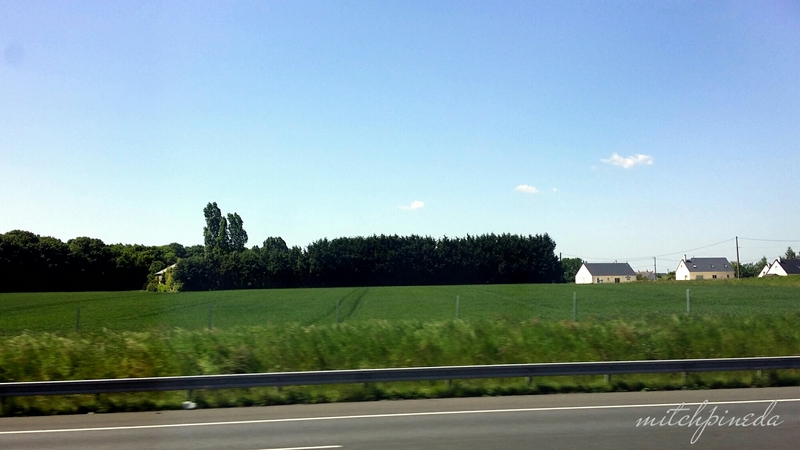 And I just couldn’t take my eyes off during that 8 hour drive. Ofcourse we have to make a few stops along the road. It’s like watching scenes from Lord of the Rings with larger than life majestic landscapes. 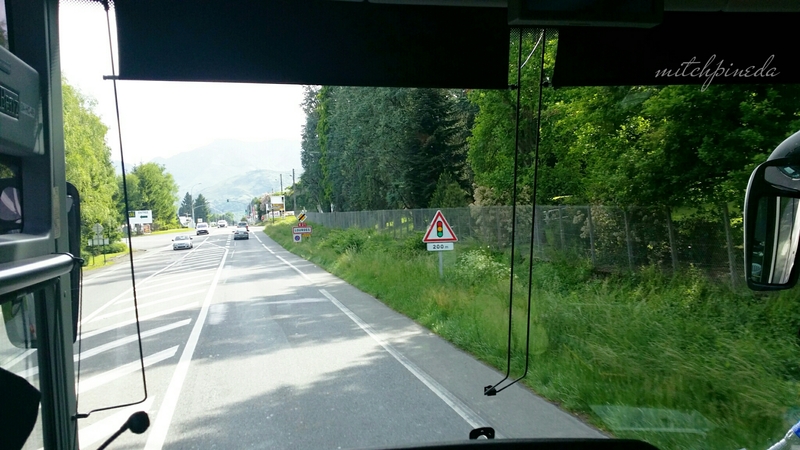 me – first in the bus! Our private bus is spacious. We were about 23 (all family-yes!) 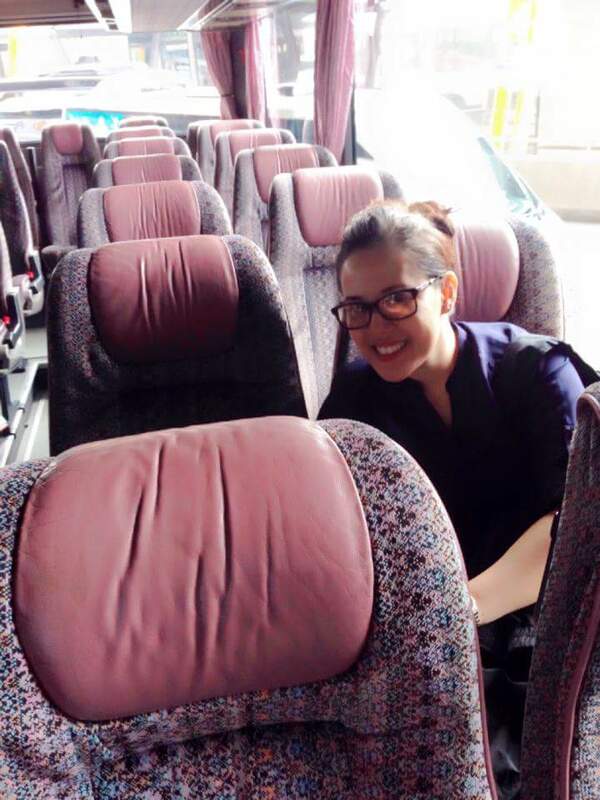 and the bus has more than 40 seater capacity. Plus our tour guide was very nice. He’s a French married to a Filipina and they own a travel agency which is based in Manila. End result – one noisy and happy bus! 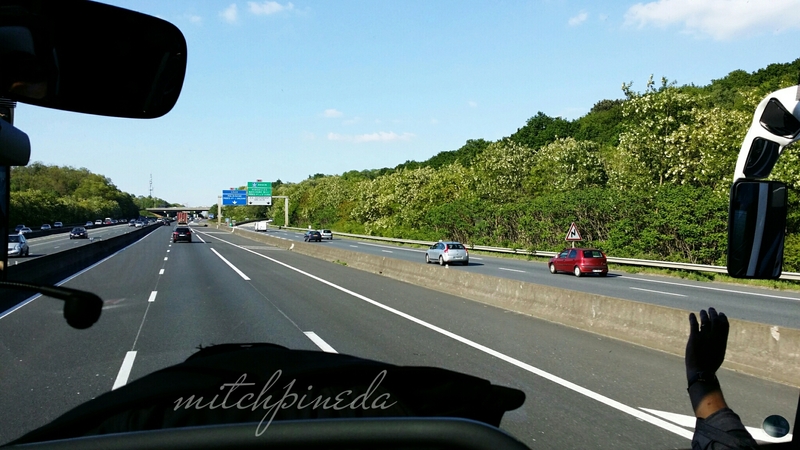 In every roadtrip the memories we make may last momentarily. But because of some technological advancements I can now carry either iphone or smartphone with me (or even better – both). 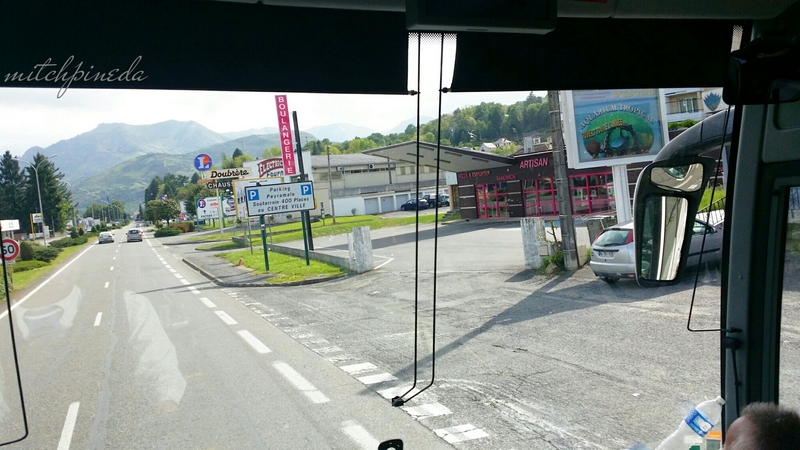 I find it difficult though to photograph roadside attractions during sudden turns and stops. so apologies for my blurry images 🙂 still a rookie. You’ll see this cross as you enter the sanctuary. 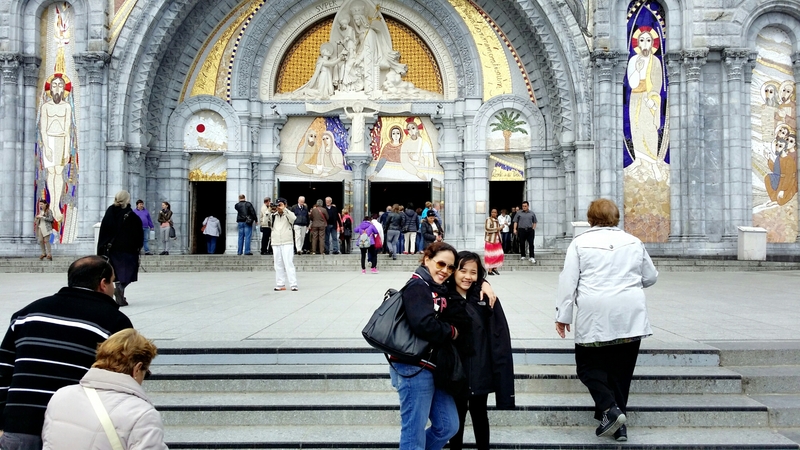 It’s considered to be the holiest site in Lourdes, France. Before, We thought of owning an apartment and even considered hiring a keeper to stay there. Though one helpful and local tour guide told us not to, because of taxes and high fees for maintenance,etc. 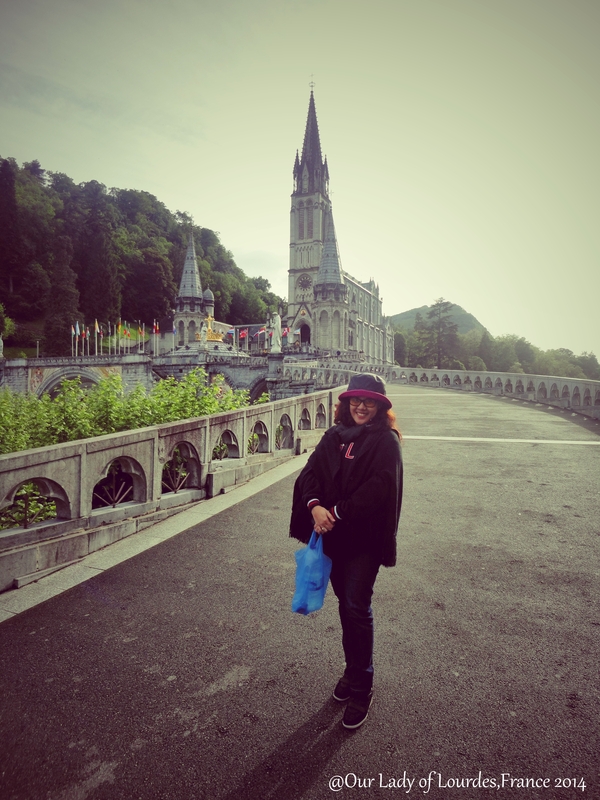 Lourdes has become a favorite place of mine, last year we stayed for 4 days and I went to the chapel daily. Prayed and drank in the sacred spring that welled up for the first time during the apparition of Mama Mary to St. Bernadette. The water was cold but it didn’t feel uncomfortably cold and chilly. Going back to the church, it was designed by Myroslav Nimciv, while its Byzantine interior polychrome decorations were executed by artist Jerzy Nowosielski. A beautiful statue of Mama Mary is standing right in the middle & facing the main basilica. Her blue sash seemed to be swaying gracefully with the wind. And an intricate crown of gold-embroidered her head and perpetual face. The sanctuary is about 50 hectares with 22 places of worships, includes the sacred grotto, two main basilicas (photo of entrance seen below), and an assortment of chapels for the sick and pilgrim goers like me. 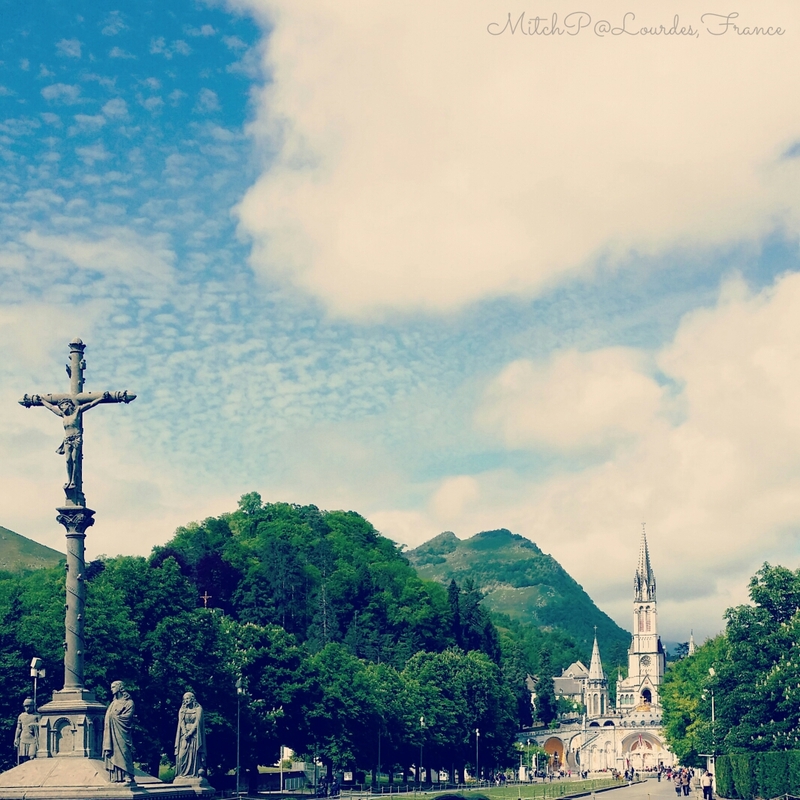 Roman Catholic faith is alive in Lourdes, I remember hearing Holy Masses in different languages like English, Spanish and Italian. One morning when I went alone to pray, I was mistaken to be an Italian and asked me to take photos of her group with the church as their background. Delighted and feeling helpful, I agreed and then went on to pray in the grotto. 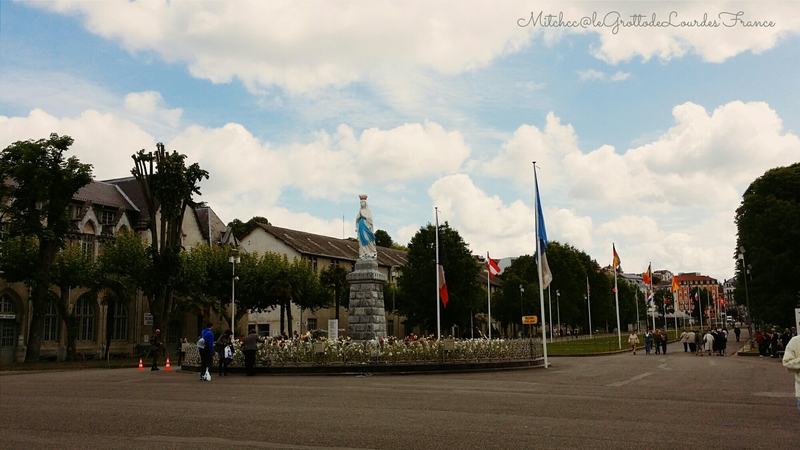 The rest of the places in Lourdes will be featured on my next posts, and hopefully I’ll have time to post more pictures as well. Much said about this quaint town, I heard it is second to Paris in terms of tourism and number of hotels. 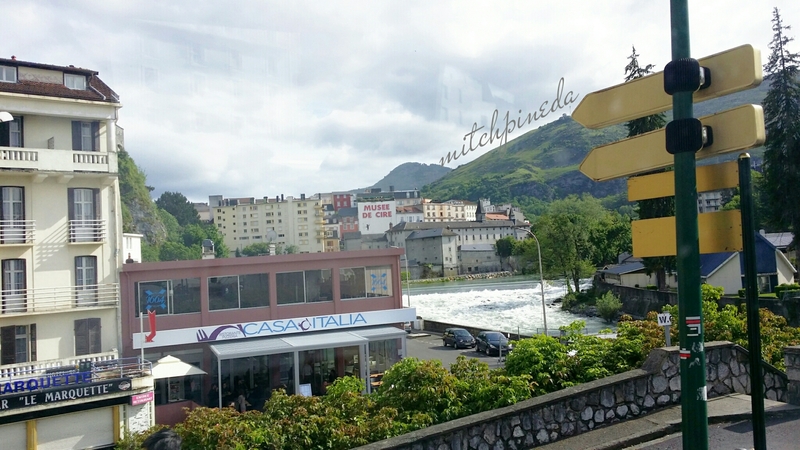 Most of my happy memories were also from this place, I was solely raised by my grandmother with strict values and traditions and visiting Lourdes is very sacred to me. I’m planning to bring her here someday, if she is able to travel, God willing.